As a skincare addict it pains me to admit this, but I have always had a very conflicted relationship with sunscreen. I know, I know, it is so important to wear - not only for anti-aging purposes but, far more importantly, to protect yourself from skin cancer.When I was younger (we're talking the teen years) I just loved being tan and always thought of sunscreen as an enemy in that mission. This led to a lot of burns, freckles, and just plain stupidity. Once I finally realized the absolute importance of sunscreen, however, my problem then changed to the reaction it had with my skin. Chemical sunscreens often caused me to break out, while other, thicker formulas left my pores clogged and congested. While these might seem like superficial worries, I was determined to find a sunscreen that could be more worthy of my time (and better for year-round wear). Enter the Radical Skincare Perfecting Tint. 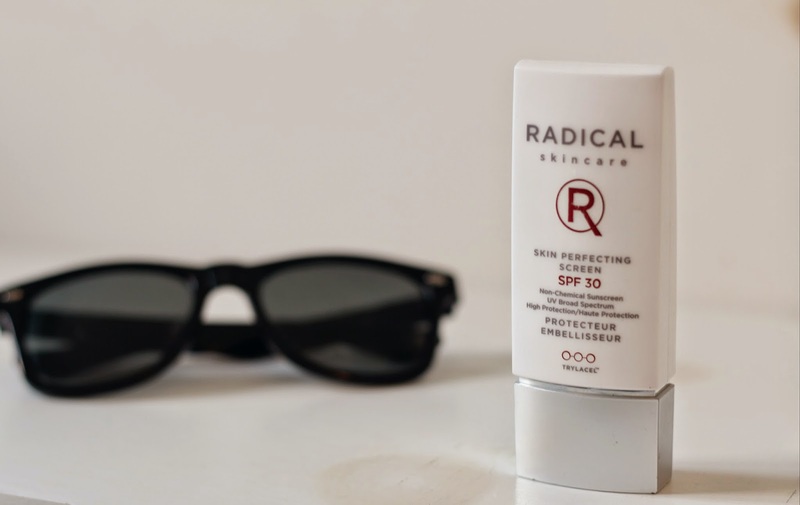 Not only does this bad boy provide SPF 30 protection for your face, but it also is chock full of skincare goodies as well as a lovely perfecting quality to your skin. It pairs wonderfully with makeup and has actually become my primer of choice. It has a thin, liquid-y formula that never clogs my pores and instead leaves my skin looking fairly luminous.